A rock-studded, wide, and white sandy stretch of Jeju Island, Hamdeok Beach makes a popular spot for swimming, strolling, and snorkeling. Families visit during holiday season, filling the spot with colorful parasols and people dressed in consevative swimwear. A small footbridge will take you to a rocky islet for a close-up view of the ocean and coastal marine life, and you can admire bronze figures of fishermen drawing their net, or sit with them on a bench under a palm tree. You can also use the beach's showers and dressing rooms, as well as renting motorboats and banana boats. Pubs and restaurants on the shore offer a wide variety of dishes and drinks. 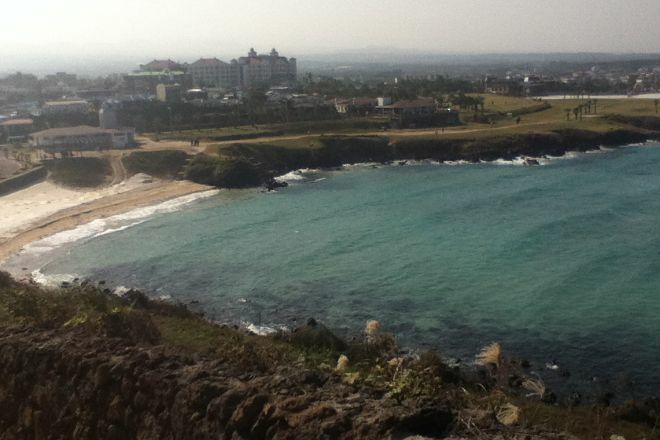 Put Hamdeok Beach into our Jeju journey planner to see other points of interest to visit during your vacation in Jeju. I am very glad. This is one of the driving courses every year. 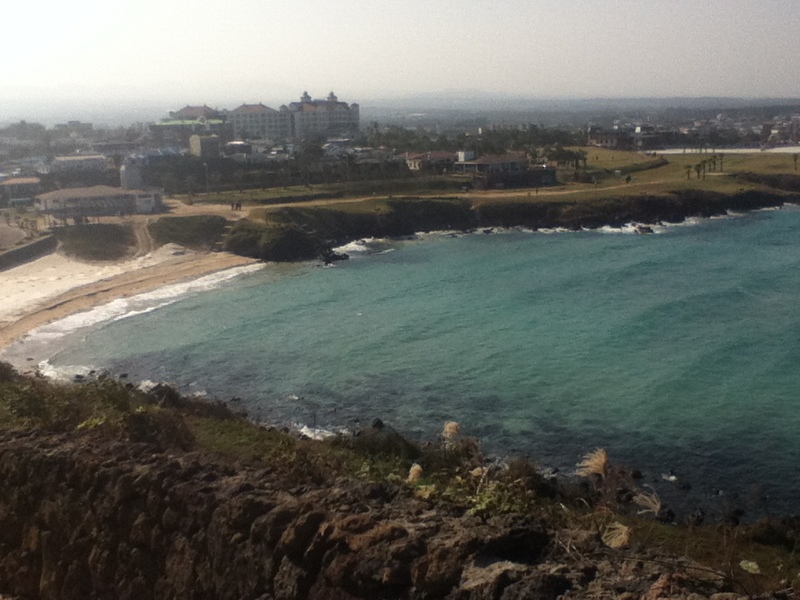 It's a picturesque sea. It's a great place to go with friends, but with a lover you'll never forget. I want to go again now. If you are a lover. The beach looks well maintain and large enough for many people during the summer. I was here during the winter, it was cold and windy. However, some lovely views and enjoying the waves. Nearby is a restaurant to warm up and get some delicious sweets. Should come back in the summer.